Half term is rapidly approaching! 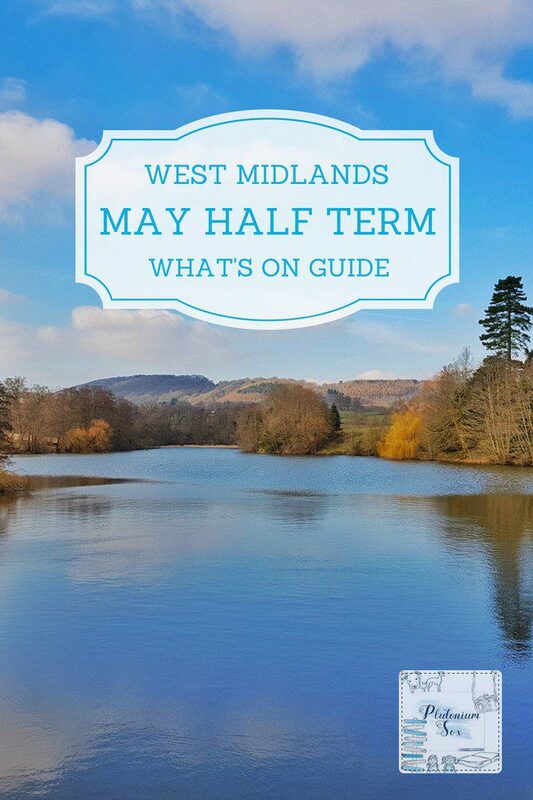 In fact so rapidly that I’m a bit late sharing what’s going on in and around the West Midlands. Better late than never, here are 23 brilliant family events taking place around the region this school holiday. Older children probably already have Alton Towers on their radar. From the age of about eight, it was always top of my list of places to go for a day out and not much has changed. The new ride this year is the Wicker Man, which is definitely not for the faint hearted! But these days, there’s loads going on for little ones too. The cBeebies hotel and cBeebies Land are incredibly exciting for tots, and this half term, they’re introducing a new Bing interactive stage show called Bing’s Picnic. For full details and show times, head to the Alton Towers website. 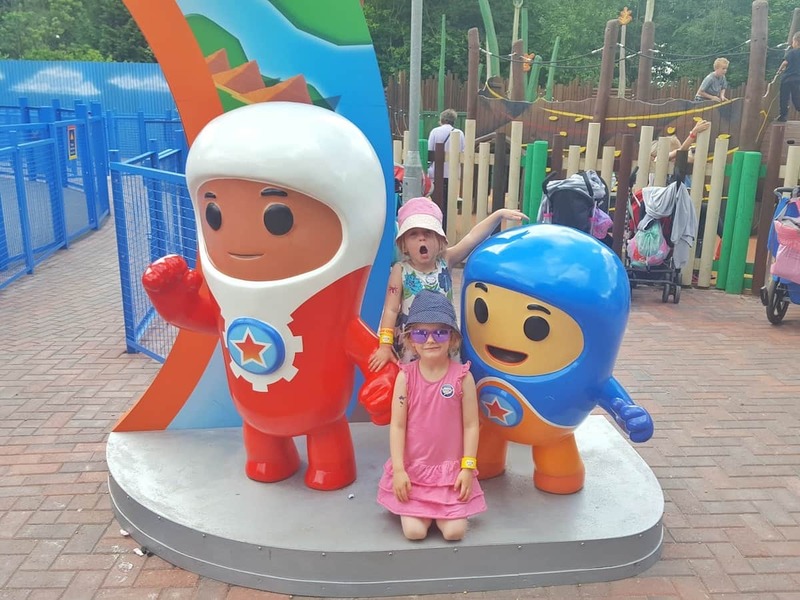 You can also read my review of a trip to Alton Towers theme park, water park and cBeebies hotel with little ones. A brand new outback trail is opening at All Things Wild, so this half term they’re celebrating all things Australia. Head to the park to discover more about Australian wildlife in addition to their usual attractions. Holiday club runs from 29th May to 1st June for 4 to 12 year olds. In years gone by, the Black Country was at the heart of industrial Britain. From food they cooked to goods they made and transported throughout the world, you can find out what life was like in a bygone era. There are some new attractions too, including the racecourse colliery multi-sensory experience that demonstrates what life was like above the mines. Head to their website for more information and read my review of the Black Country Living Museum. There’s a focus on nature this May half term at Brockhampton, with plenty of wild flowers in bloom. Children can learn about how morale was maintained on the home front with the Dambusters trail. There’s even a prize if you can complete it. Sooty, Sweep and Soo are at Cadbury World this half term. Their family show sees them testing out Sooty’s latest inventions. If you’re heading there at the weekend, do check out their character themed breakfasts too. Children can meet their favourite characters while you all enjoy a tasty treat. Full details on their events page. 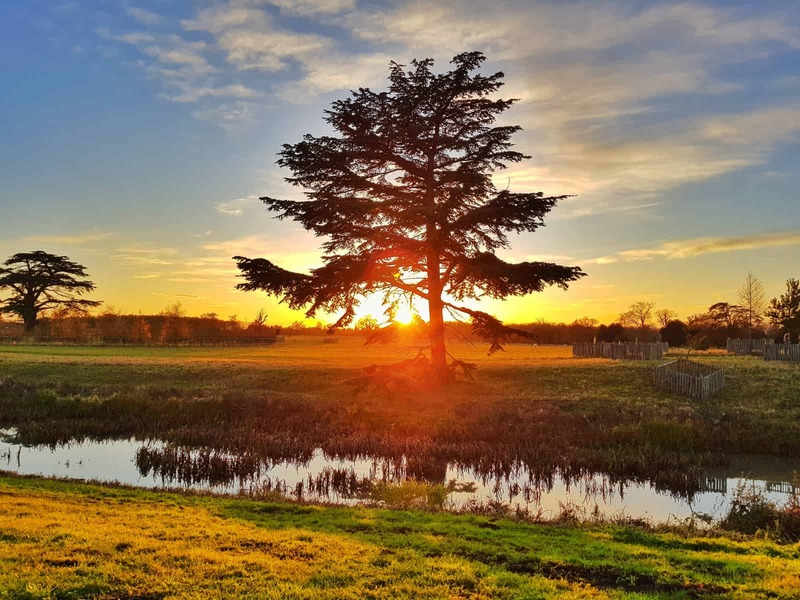 If you follow me on Instagram, you might have noticed that we spend a huge amount of time at Croome. It’s the perfect place for children to ride their bikes, get in touch with nature and play. Better still, their cafes sell pretty amazing cake. From 26th May to 3rd June, there will be a Georgian games trail around the park. Children can learn about games that would have been played in the past, and win a prize for completing the trail. Find out more about this and other events on their website or read my review of Croome. It’s love your zoo week during half term and Drayton Manor are not afraid to shout about it. Participants in their zoo trail will be in with the chance of winning an animal encounter experience. Their conservation cart will be touring the park and zoo for visitors to learn about the animal charities they support. There’s loads of other things going on too, as well as reduced priced tickets if you book in advance. 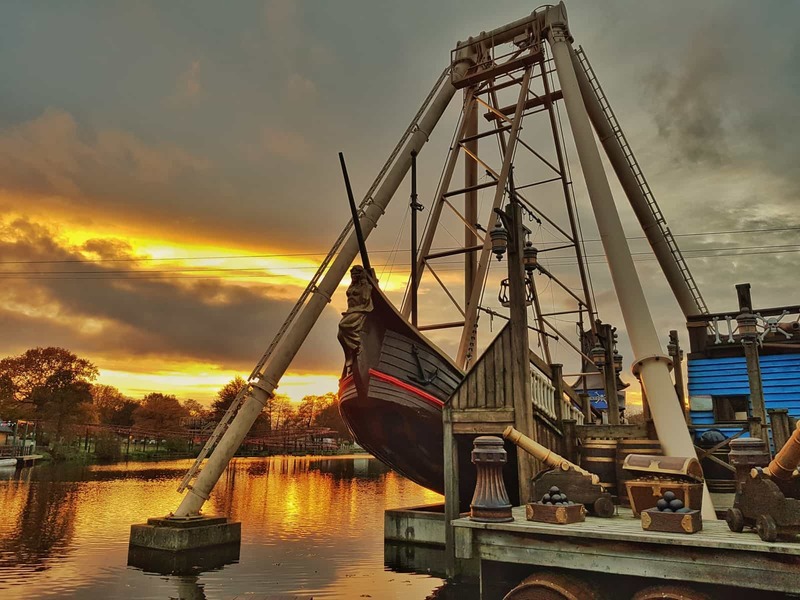 Find out more on their website and read our Drayton Manor review. A few different events take place at Eastnor Castle this half term. 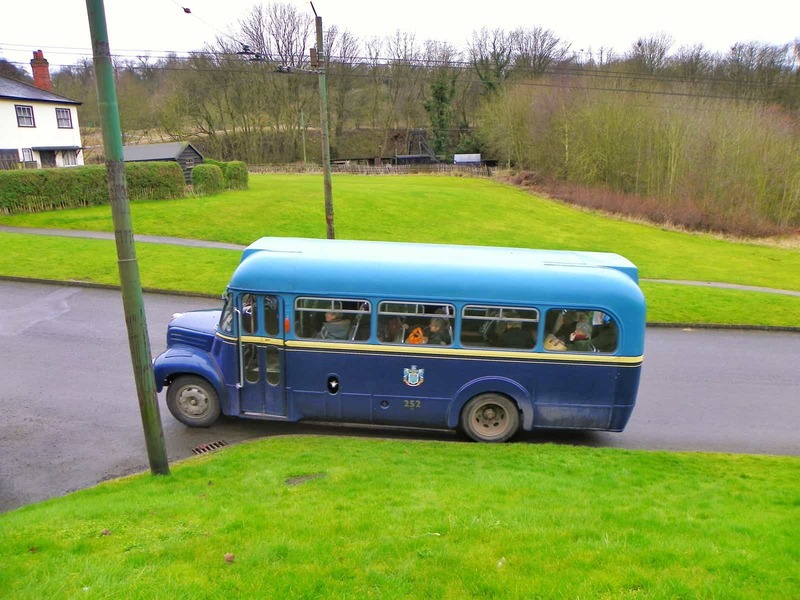 The action kicks off with Vintage Eastnor, where steam engines, giant garden games and a vintage carousel entertain the children. Later in the week, they host Kids Run Free, a quiz and activity checklist designed to let little ones burn off some steam. The excitement ends with a family fun day. Tranquil garden games offset the adrenaline of a zip-wire on the valley lawn. 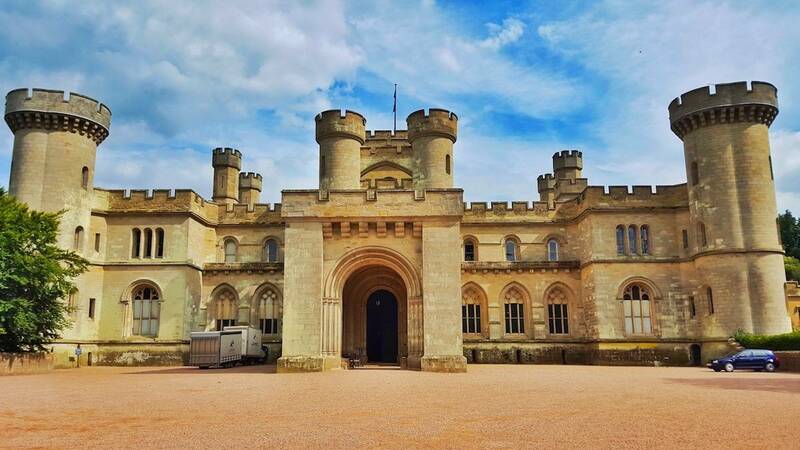 Head to their ‘what’s on’ page for dates and times and read our review of Eastnor Castle. Previously the Elgar Birthplace Museum, The Firs has recently been taken over by the National Trust. During half term, they’re taking children back to Victorian times with their garden games that entertained children in the early 1900s. It’s a great opportunity to visit this fabulous house. Do check opening times and dates before you go because they’re not open every day. 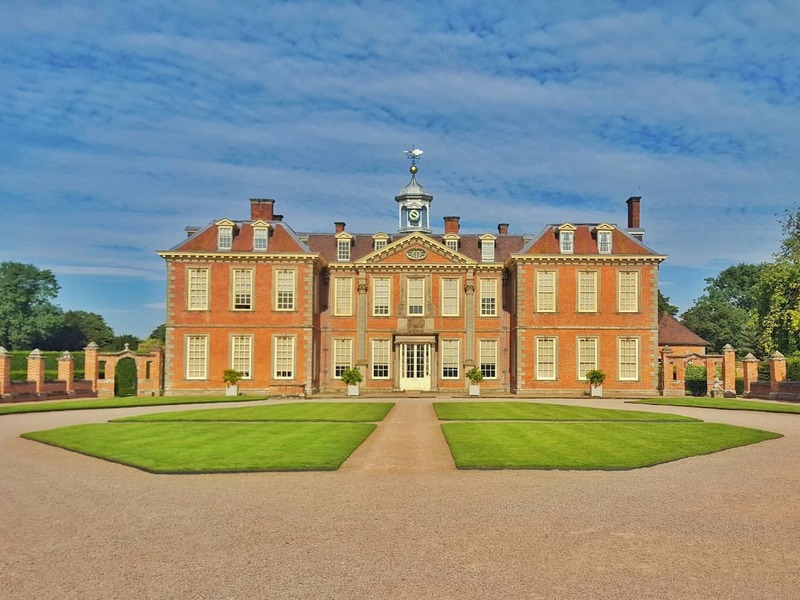 The team at Hanbury Hall are encouraging children to get outdoors and enjoy a National Trust 50 things adventure. Their spring garden trail provides the opportunity to build a den, create wild art, climb a huge hill and go bird watching. For information on this and other events at Hanbury Hall, check out their website. Swashbuckle fans will delight in the pirate festival at Hatton Adventure World. There are funfair rides, bouncy castles, pirate battles and dragon taming among a plethora of other activities. Do check the full programme on their events page, there seems to be something for everyone. Colour is on the agenda at the Ironbridge Gorge Museums this May half term. Each of the museums allows visitors to create colour in a different way. The focus is on fashion at Blists Hill, while Enginuity look at the technology of colour. For dates, times and to see what’s happening at the other museums, head to their events page. On 27th and 28th May, Kenilworth Castle will take visitors back to its medieval roots with jesters, knights, games and a medieval camp. Fun continues from 29th May to 3rd June with creepy crawly encounters. Visitors can meet animals courtesy of a ZooLabs ranger and learn some fascinating facts about the creepy crawlies they encounter. More information on both events is available on their website. It’s Dino Week at the National Forest Adventure Farm from 26th May to 3rd June. Along with interactive shows, there will be a couple of lifelike dinosaurs roaming around the farm. Visitors are invited to stop them for a photo – if they’re brave enough! There’s even a raptor run for little ones – only the bravest will make it past the velociraptor to grab a dinosaur egg. 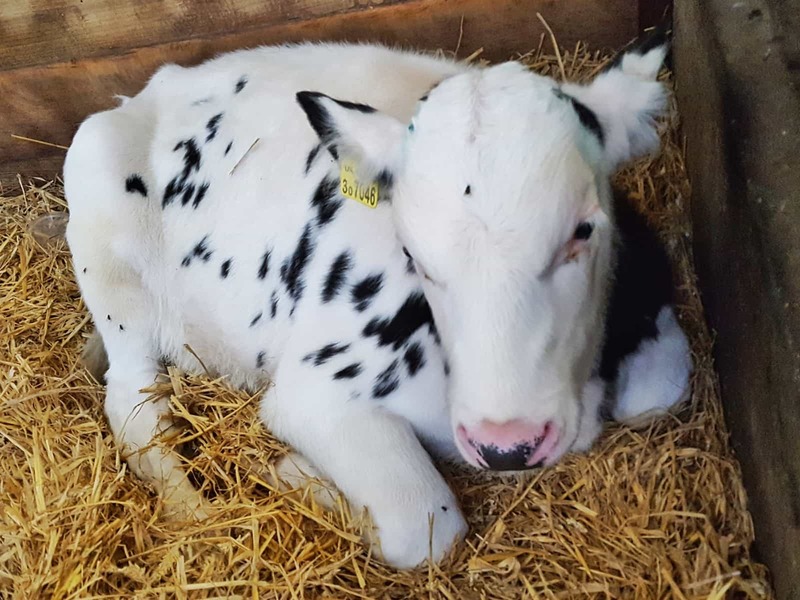 See full details on their website and read my review of Halloween Half Term at the National Forest Adventure Farm. 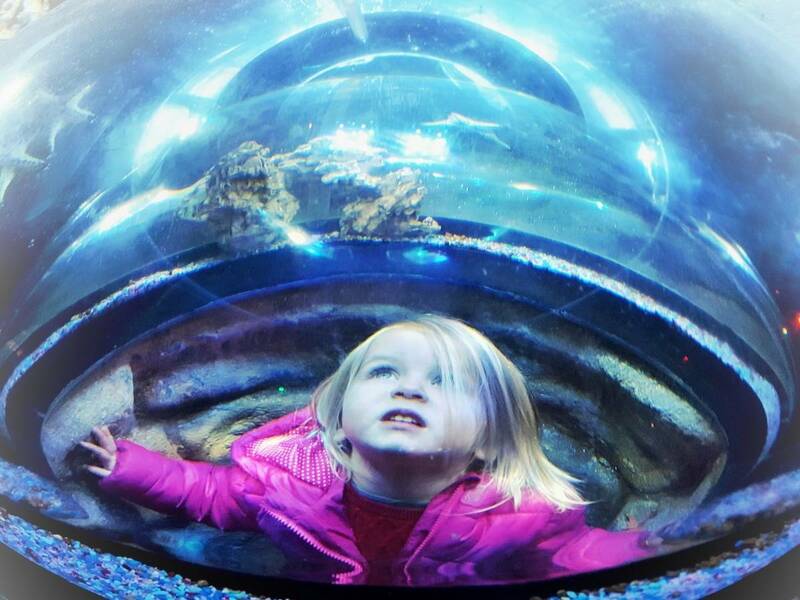 Journey back in time to the Jurassic Seas at the National Sea Life Centre this half term. There’s a Jurassic trail around the attraction, and a fossil dig to learn about the history of the oceans. Little dinosaur detectives will also enjoy the new film in the 4D cinema, the Splash and Bubbles undersea adventure. 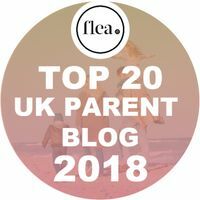 More information about all events is on the National Sea Life Centre website and you can also read my review of the National Sea Life Centre. Fairies and wizards lead visitors on a magical mystery trail around Ray’s Farm over May half term. Anyone who completes the trail will be entered into a draw to win a family ticket to Ray’s Farm. The magic continues in the Fairytale Forest and Mythical Woods, full of wooden mythical sculptures. Full details of the event are on their website. Activities at RAF Cosford centre around the First World War this half term. Families can gain an insight into what life was like for First World War pilots. From trying on uniform and clothing from the era, to a rare opportunity to look around inside two Sopwith planes. Virtual reality sessions will be available on certain dates, and a slang trail allows visitors to learn unusual words and phrases that would have been used. These activities are only available on certain dates, so check the website for full details before visiting. A variety of workshops at the RSC cater for children aged from 4, right up to 17 this holiday. Check the RSC website to see what the workshops involve and the ages each one is suitable for. 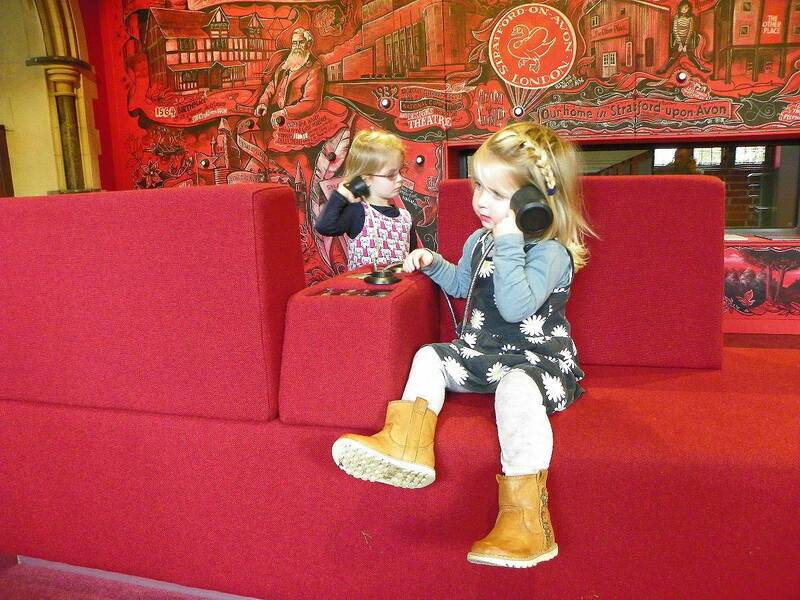 There’s free entry for children at The Play’s The Thing and the Theatre Tower too. Well worth a visit if you’re in or around Stratford. Trains run daily on the Severn Valley Railway during half term. There are also loads of events going on at different stations throughout the week. 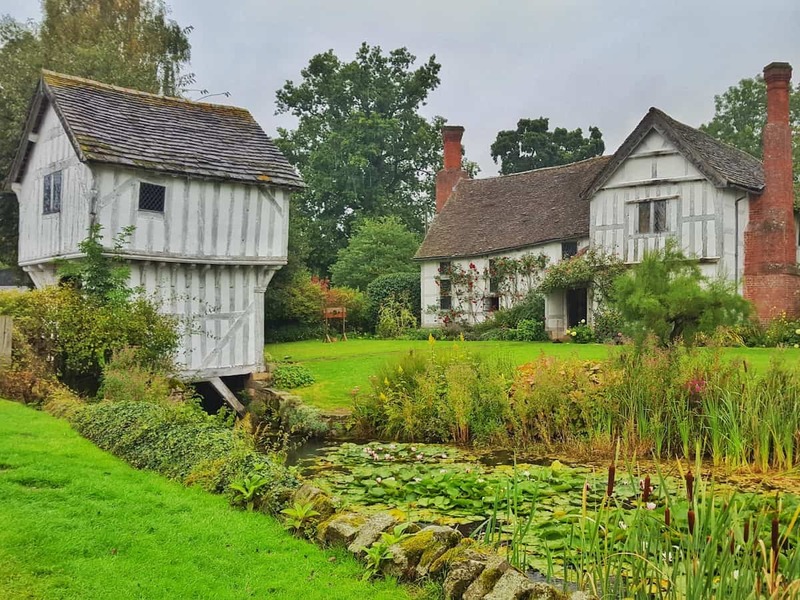 The Engine House at Highley is particularly vibrant, with rock hunting, a gnome trail, music, enamelling, meet a greyhound and numerous other things going on. 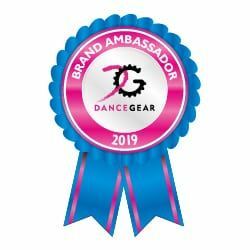 Do head over to their website to see what’s happening each day. A bug trail leads visitors around Spetchley Gardens this half term. Grab a sheet from the welcome centre and see how many you can find. The trail continues until 24th June in honour of National Insect Week from 18th to 24th June. Green fingered children will enjoy learning more about plants on 2nd June too. They can even plant their own seedling to grow at home. During the bank holiday weekend, Critterish Allsorts will be at Trentham Gardens. Visitors can get hands-on with exotic creatures. Don’t worry though, they’re al tame and happy to be handled. 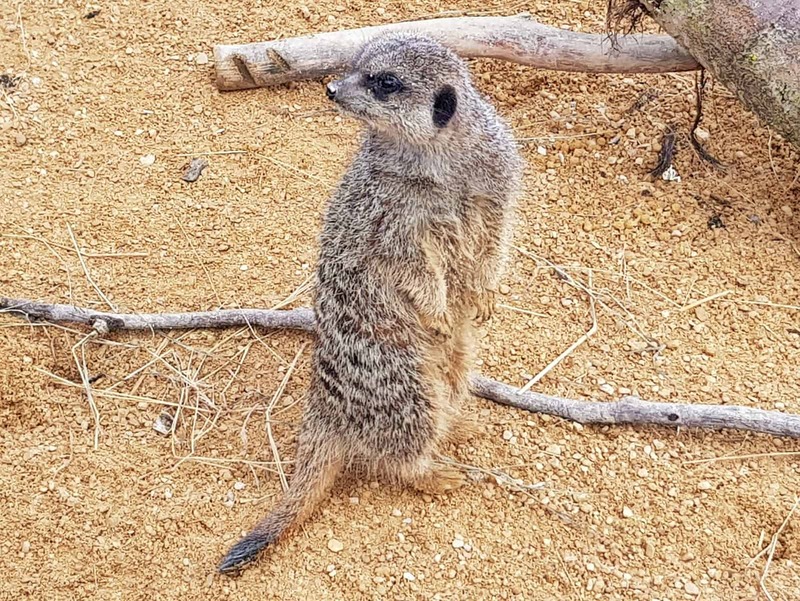 It’s a great way for children to learn more about the animals they meet before exploring everything else Trentham has to offer. Full details on their website. The incredible Wars of the Roses show returns to Warwick Castle this half term. Knights on horseback from the House of York and the House of Lancaster act out a brief history of the Wars of the Roses. Epic stunts, incredible special effects and engaging actors ensure the crowd are engaged and enthralled. 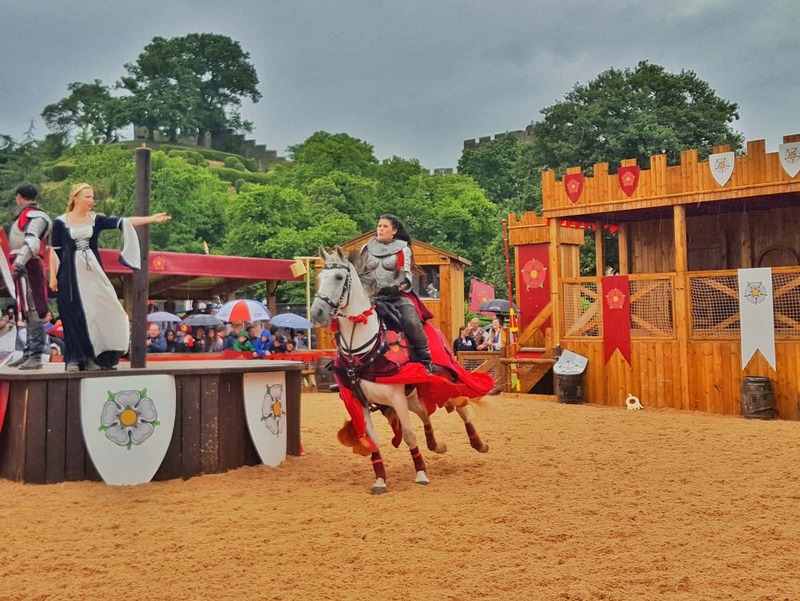 Head to their website for full details and read our review of Warwick Castle’s Wars of the Roses. It’s giraffe week at the West Midlands Safari Park, and visitors can become a giraffe ranger on the discovery trail. Giraffe themed talks and crafts are also on offer. Giraffes are in decline in the wild and funds raised during giraffe week will go towards their conservation. Local school children have been designing their own giraffes to raise money for St Richard’s Hospice in the Worcester Stands Tall event. Some of their work will be on display at the Safari Academy. Full details of the event are on their website and you can also read my review of the West Midlands Safari Park. 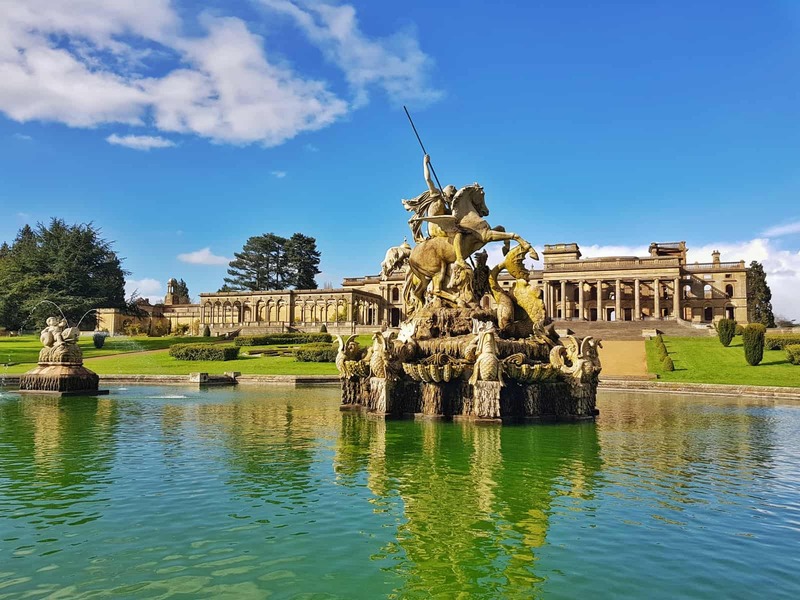 On 27th and 28th May, Witley Court will be transported back to its Victorian heyday for a Victorian children’s festival. Magic tricks and potions rub shoulders with a traditional Punch and Judy show. They’re joined by jugglers, story walks and a mysterious soldier. You can find full details and times of the event on their website and read our review of Witley Court. I know, it’s come round so quickly! That’s fab, you’re going to love Warwick Castle. Thanks Kay, I hope you and your little one have a lovely day out if you decide to visit any of them. I do love your round-ups of places to visit. I’ve been to hardly any of them and always tell myself I’ll make more effort. 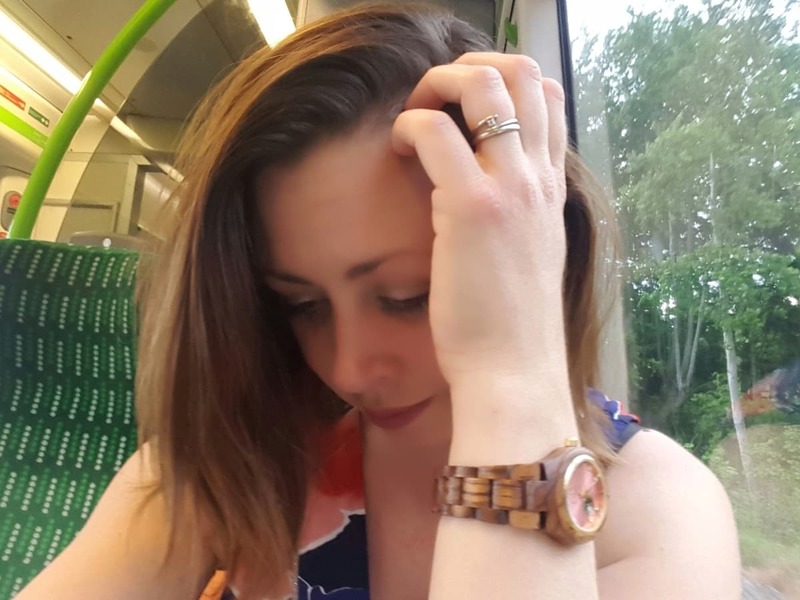 My kids and husband love Alton Towers, but I’m not a fan! My daughter is going on a school trip to West Midlands Safari Park soon and she’s so excited! Ahh thank you! I love that they’re helpful.